Thanks for reading my blog! All you have to do to enter this giveaway for a $25 Amazon card is add one of my recipes to your ziplist. Just click the image below to go to the recipe and leave me a comment on which recipe you added. Not a ziplist user, join so you can save my recipes or just leave me a comment saying you dropped by! Easy Peasy. Now find out who else is doing a simple entry sweepstakes. I just joined Ziplist, have never heard of it before! I added the Crepes recipe. They sound delish! Great recipes!! I don’t know what Ziplist is either. Thanks for the giveaway! I’m not a ziplist user but love recipes! I would really love to try the Breakfast Muffins ! Thank you for the great giveaway! i have no clue what ziplist is but will be checking it out.Thanks! Following via pinterest (Happy in 3rd grade). I don’t ziplist, but your recipes look delicious! I will have to try the cranberry rice crispy treat next year. Or maybe even for Christmas in the shape of Christmas trees! Thank you for the awesome giveaway! Signed up for Ziplist just so I could save the Breakfast muffin recipe! I haven’t heard of Ziplist but i love your Breakfast Energy Muffins Recipe!! Joined ziplist and added Apple Butter Pumpkin Pie Recipe, sounds so yummy. Thx for the giveaway. I don’t use ziplist but the Apple Butter Pumpkin Pie looks sooo GOOD! YUM! Joined Ziplist and downloaded recipe for Breakfast muffins. Downloaded and added recipe via ziplist. Thanks! I don’t have a ziplist account but I’m loving your Chocolate Almond Crepes! I don’t even know what Ziplist is, but that recipe for the Sweet Potato Whoopie Pies looks delicious! I haven’t ever heard of ziplist, I’ll look into it though! Thanks! I’m not a ziplist user..had not heard of it before. Those are some great recipes…really like the breakfast energy muffins. Joined ZipList and added Chocolate Crepes to my list, thanks! Not a ziplist user but your recipe looks awesome. Thanks for the giveaway! I’m not a ziplist user, but your Breakfast Energy Muffins sound amazing! I love sweet potatoes, too, and never had them with parsnips. I’ll have to try that one, too. Not a ziplist user~ but i did leave a comment over there for ya on your crepes. 🙂 Thank you for the lovely hop and Happy Thanksgiving! I want to try this for Thanksgiving tomorrow! They look so delicious. Thanks for the recipe and for introducing me to ziplist! Can’t believe I didn’t know about it until now 🙂 Thank you! Not a ziplist user but those recipes look SO GOOD! just stopping by. thanks for the giveaway! Oh I’m in love with thw Zip List. Made a short cut to my desk top. I downladed your Apple Butter Pumpkin Pie recipe. I am not a ziplist user but the recipes look great. Thanks for the giveaway. I downloaded the ziplist plugin, thanks! I saved your recipe for the Breakfast Energy Muffins! They sound yummy! Apple Butter Pumpkin Pie Recipe sounds really delicious. I leave a comment on that recipe and add it on my recipe box. Saved the whoopie pie recipe! Looks yummy! They look great. Thanks for sharing!! I’m not on ziplist but if I were I’d save the whoopie pie recipe. It looks amazing and I’m definitely going to make these with my extra sweet potatoes! Wow! Thanks for the giveaway! The chocolate almond crepes look good! I’m not a Ziplist user but your recipes look amazing. I checked a few of them out and I just might try to cook one of them.. Thanks for the great giveaway! I added Parsnip Sweet Potatoes to my list. The Chocolate Almond Crepes looks yummy! Hope to try it soon.not a zip list user though. Thank you for introducing me to Ziplist, I can’t wait to play around with it. I hope you have a Happy Thanksgiving filled with fun, laughter and food. My Ziplist user name is Proudarmymom32 and I posted the Sweet Potato Spiced Whoopie Pie Recipe. I joined Ziplist through my Facebook. Super easy and a new site for me. While I am not a cook at all, my boyfriend does enjoy it and I think I will have him make me the Pumpkin Cranberry Rice Crispy Treats! I recently bought a bottle of Cranberry wine from a local winery and I think they would be wonderful together! Thanks for the great giveaway and wonderful recipes. I’m not a ziplist user but your pictures look yummy! 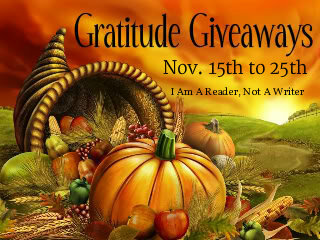 Thanks for this amazing giveaway – I would love to win! Sorry, I don’t have ziplist, but I printed out your Chocolate Almond Crepes recipe 🙂 It looks really yummy and I can’t wait to try it out! Thanks for the giveaway! I don’t use Ziplist, but I do think I might try the cranberry rice crispy treats. I don’t use ziplist, but the breakfast energy muffins look delicious! I’m not a ziplist member, but I’m definitely going to try out your Chocolate Almond Crepes recipe! It’s awesome. I don’t use ziplist, but those cookies look yummy! the Pumpkin Cranberry Rice Crispy Treats and so does the Sweet Potato Spiced Whoopie Pie. I added them both to my zip list and i think i am going to try the Pumpkin Cranberry Rice Crispy Treats this year. I’m not a Ziplist user, but these look great! I don’t use ziplist but i might have to check it out. That pumpkin one sounds yummy! i’ve got most of the stuff to make it too. 🙂 I think i’ve got some applebutter in the fridge even. Don’t use ziplist. The recipes look delicious. Thanks. I’m actually not a ziplist user 🙁 But all the recepies look yummy! Thanks for introducing me to ziplist.com ! I have added Chocolate Almond Crepes. They look delicious. Definitely going to try them! I got the Breakfast Energy Muffins recipe! I checked out the pumpkin cranberry rice crispy treats. Sounds like an interesting version. I’m not a ziplist member. Hopping by, thank you for the chance. I also love anything sweet or with chocolate in it! I don’t use ziplist- but the recipes look yummy! Thanks – you’re the first one to lead me to this blog hop. I like them – nice and easy and you find some great blogs to follow. Anything with chocolate is yummy for me! !